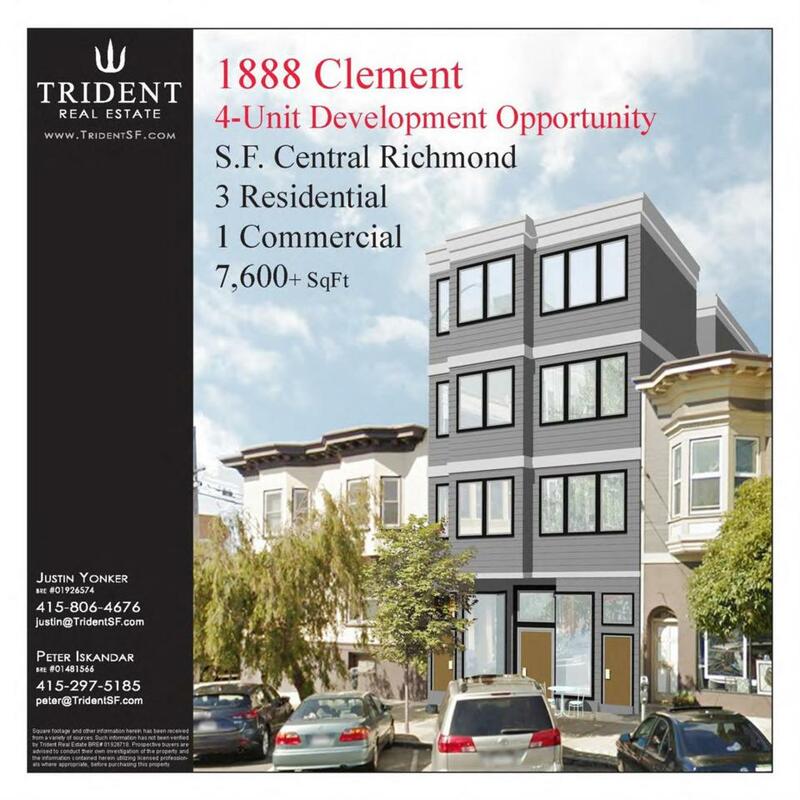 Development opportunity on an active street in San Francisco's Central Richmond mixed-use neighborhood. Approved plans and permit ready to build 3 residential units + 1 commercial unit totaling ~7,600+ sqft. Close to restaurants, cafes, retail, Presidio, Lands End, Golden Gate Park, employment, Golden Gate Bridge, Hwy 101 North access, and transportation.